​A French illustrator and graphic designer who created the “Peace for Paris” sign. 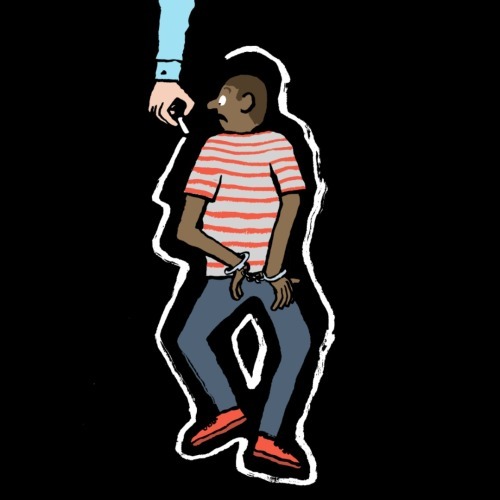 Jullien has also created other graphics for notable political and cultural events, including the Ferguson shooting and the Charlie Hebdo massacre that took place in Paris earlier this year. Jullien told WIRED that his drawing was an immediate reaction. He didn't sit down to think about it, he didn’t do any sketches, he reacted graphically, just drawing something spontaneously with a loose sketchbook, brush, ink and then sharing it as a raw reaction. ​The first thing that came to his mind was the idea of peace, that we needed peace. He was trying to look for a symbol of Paris, and obviously the Eiffel Tower was the first thing that sprang to his mind. He just connected both of them. There wasn’t much work process behind that. Only a minute long of sketching. It was more an instinctive, human reaction than an illustrator’s reaction. The image gained a huge response from the public, as it is now known more as the movement symbol for the attack. It has been posted on social media platforms by people all over the world and also gained the spotlight from celebrities like Kim K, Cara Delevigne, Harry Styles, and so much more, with the hashtags #PrayersforParis and #PeaceforParis. The image has gone viral in a way, exactly as Jullien intended: "An image for everyone"
What is FELICE MINI SERIES? Felice Mini Series is the newest additional to our online magazine where we get to pick one theme (per month) related to our current theme issue. We will write an article revolving around the selected topic, based from our four main category perspective; FASHION, BEAUTY, MUSIC, AND EVERYTHING ELSE.